In a digital age, what’s real and what matters? As we virtually head for the cloud, what value is there in being grounded in what Levenger calls heritage technologies—paper, wood and leather? In Holding Dear: The Value of the Real, Levenger co-founder and CEO Steve Leveen contemplates the role of the physical in helping us find balance as we move ever deeper into the virtual. Here are two passages from the book, which also features guest essays by technologists Kevin Kelly and Paul Saffo, along with Patti Smith, David McCullough, Ann Patchett and others. In their essays they contemplate the objects that they hold dear, and for real. Digital files somehow seem to us to have staying power, since they can be copied and transmitted so easily. But in believing this, we may be guilty of the same kind of naïve optimism that has been associated with so many other breakthrough technologies in our past—that the radio would eliminate all the isolation of living in the country, for example, or that cars would keep us completely safe since we wouldn’t be subject to runaway horse accidents. For personal and family history, it’s important to bequeath some writing on paper, preferably handwriting. As my wise wife, Lori, advises, “Leave a trace.” I know how I prize seeing my late grandfather’s hand—his artful signature in a handwriting manual from 1922, his letter to a friend in 1957, a year before he died, and the lone piece of writing to me, his inscription in my copy of Now We Are Six. Steel is an old material for bike frames these days, which makes it cool, but the front fork and the handlebars of his bike were carbon fiber, and it had new, top-quality shifters, brakes, pedals and derailleurs. 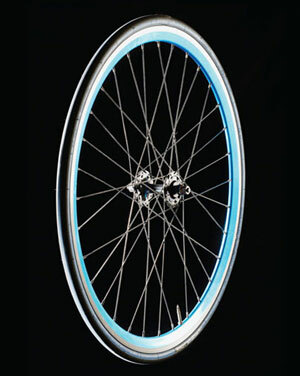 The bike was beautifully crafted, with gleaming metallic blue hardware to accent the white frame. I tell you this story because it shows the role beauty can play in keeping heritage technology lovable. 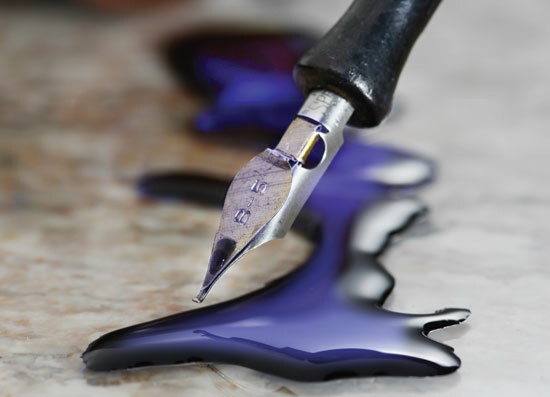 Advanced design and materials, precision engineering, and fanatical craftsmanship can be applied to paper notebooks and the holders for them, as well as to the pens used to write on them. The legal pad that Steve Wozniak grabbed to write his speech notes was not expensive, and there’s an important place in the world for objects that are as inexpensive as possible. But more costly beauty has its role as well, and as some of the essays in this book illustrate, beautifully made objects that embody the honed skills of artists can create virtuous cycles of appreciation, preservation, and re-creation based on rediscovering older forms of art. If bicycles are any guide, we have a beautiful century to look forward to for the heritage technologies of paper and ink. 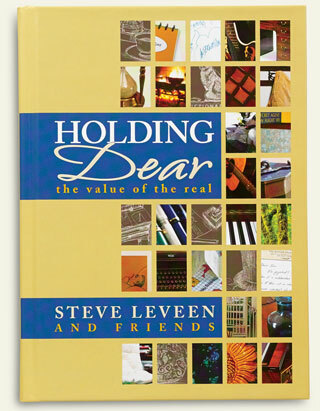 From Holding Dear: The Value of the Real by Steve Leveen. © 2013 the Levenger Company. All rights reserved.